Christmas does not end on December 26. 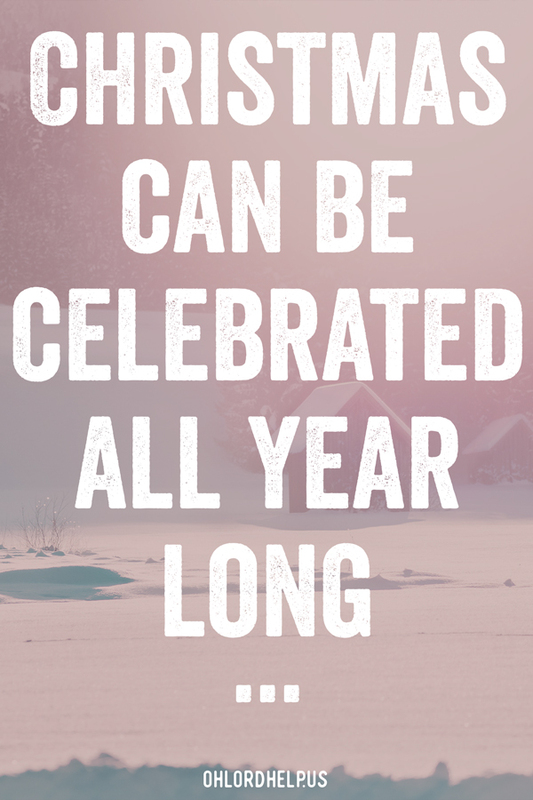 The magic of Christmas, the miracle and mystery of Jesus can be celebrated every day, all year long. I know it sounds a little funny reading a Christmas post at the end of January. Many people have put Christmas behind them. The tree and lights are stored away; the stockings are no longer hung. The Christmas cookies and leftovers have long disappeared and all the candy canes are on clearance. It is 2019, and now our minds are set on the new year, new beginnings, improving our lives and trying new things. We set lofty goals and resolutions as we send our kids back to school for a new semester (some with new shoes). The grocery store aisles are packed with red and pink hearts and even St. Patrick’s Day decor. The radio stations are back to playing their “normal” songs. The Baby in the manger lays forgotten in a closet until next year. Yet we don’t have to forget. What if Christmas kept going all year round? I’m not talking about the stress of Christmas – the shopping, wrapping, baking and elf-hiding. It’s the magic, the mystery and the wonder lasts through January, February and all year long. I want to focus on a unique aspect of the Christmas Story, the Wise Men, also called “Magi.” Who were these mysterious foreigners, and how did a single star lead them to Jesus? The Wise Men were magicians, sorcerers and foreigners from the East. We know that they did not previously know or worship God. Yet, they came to Jesus. They came to see The One whose power and majesty far outweighed any wisdom or magic trick they could concoct. They knew He was special, and they knew He was worth their time. These foreign magicians knew He was God Eternal, the Everlasting King. The Wise Men saw all of this in a single star, which led them to bow before a tiny little Baby. Matthew, Jesus’ disciple and author of this book, originally wrote to a Jewish audience. He was very intentional on multiple occasions to demonstrate how Jesus fulfilled the Old Testament prophecies regarding the Messiah. In Jewish times, people who were Gentile (foreigner or non-Jews) were considered unclean and unholy. Why would Matthew make sure to document to a primarily Jewish audience, that these non-believers from another land came to worship Jesus? And better yet, why would God call these men from far away when they were not His people? Why did foreign magicians have such a crucial role in the Christmas story? 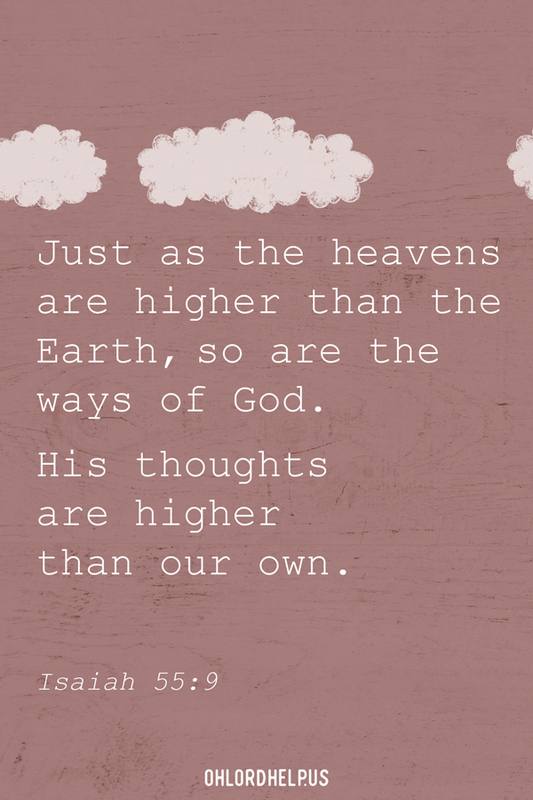 God does not think the way we think. Or even the way we want Him to. God caused Gentile men, who did not know Him, to travel to the country of Israel, to the rundown town of Bethlehem in order to worship Him, as a baby. Another significant person in the Christmas account actually lived 700 years before Jesus was even born: Isaiah. Isaiah was a prophet of God to the people of Judah during the reigns of four different Jewish kings. In Isaiah 6, we read about an incredible encounter Isaiah has with Jesus on the throne. Isaiah later gets the famous message that we hear at every Christmas pageant and see on many Christmas cards. Isaiah saw the majesty of the Lord, both in His heavenly form on His throne, and in His human form, as a baby. Both are majestic, and both are holy. As we look at the Baby in the manger, we can remember that God chose the unlikely foreigners to lead the way in worship. We can stare at the mystery and magic of His birth and remember that God’s ways are higher than our own. Even when we read Matthew’s recount of the story or Isaiah’s prophetic words, we rejoice, that the grace of God cuts through cultural barriers, and systems. Most of us do not feel like Wise Men, but we might feel like outsiders. We can trust, that the Light of God will lead us to Jesus, no matter where we have come from. We can trust that He is worthy of our time, worthy to be worshiped, no matter what the world looks like around us. When we see that little Baby in the manger and when God’s ways don’t make sense, we can rejoice with the angels. We can declare, “Holy, Holy Holy is the Lord God Almighty, ” because that is who He is. I love Jesus more than life! I am blessed with a charming husband and three precious children. Born and Raised in Texas, I love some good brisket and a spectacular sunset. After living in North Africa, and immersing myself in Carolina culture, I now know saltwater and sand are equally good for my soul. He is faithful and His mercies are new every morning. I am forever grateful.